Slate + Ash is the elegant name of the relatively new company from Will Slater and Simon Ashdown. You might not know the company by name, but it’s quite likely that you’ve heard the two composers’ work, thanks to their musical and sound design contributions to film scores such as Arrival, by the much missed Jóhann Jóhannsson, alongside numerous other notable composers such as Ben Salisbury and Daniel Pemberton. Contained within the overall Auras package are two instruments, which offer a degree of crossover and similarity. Both operate within the full version of Kontakt, as Auras is not NI library compliant at this time, and due to the general makeup of each sound, patches are loaded in a multi-instrument format, so you will only be able to use a single instance in any given Kontakt instance. 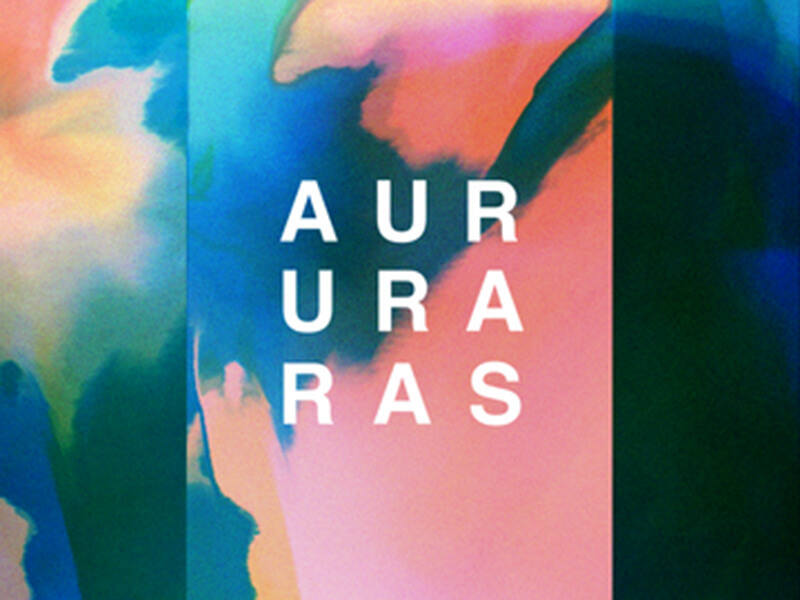 In essence, Auras is sample driven, with a substantial library of just under 9GB of audio, all of which has been captured from a mixture of acoustic, organic and electronic sources. But just because Auras heavily relies on samples, do not be fooled into thinking that it’s the same every time you play it. The whole calling card with this library is that it is designed to be played conventionally, with real-time movement and control of the integral elements. This is why Auras has already been described by one notable artist as being one of the first electronic instruments which can really take advantage of the MPE system when coupled with a Roli Seaboard. In my review, I had to make do with a regular keyboard armed with MIDI CC-based faders, but the concept remains the same. 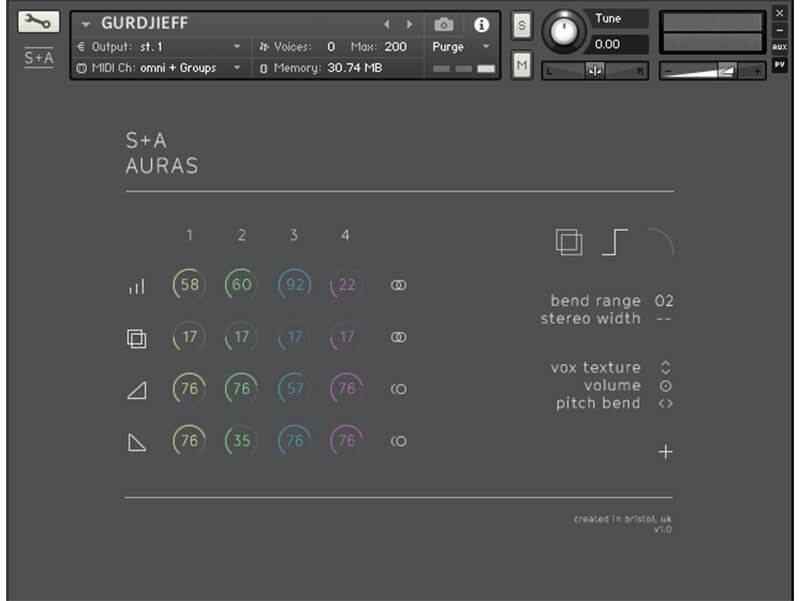 Beginning with the first of the two instruments, Auras is the simpler of the two interfaces, but that’s no indication of the sounds to come. 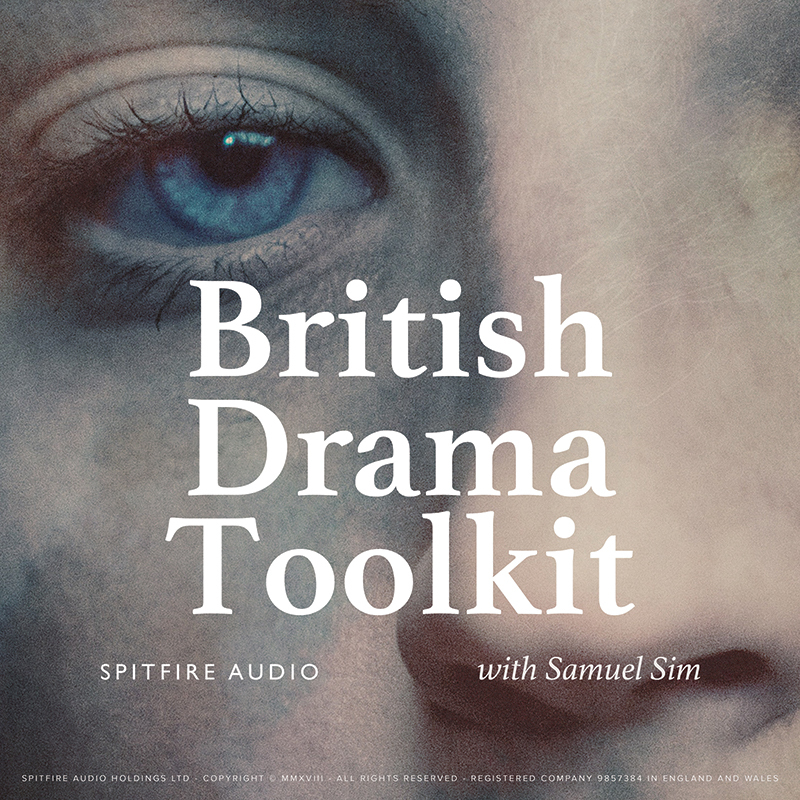 Delving straight into the presets, you begin to hear some of those similarities that you might have heard in some of Slate + Ash’s commercial work: bells, bows, scrapes, otherworldly, modulating, panning – it’s all there. It’s instantly gratifying – the general concept being that any given note can be held for a while, allowing the sample to play out. Each Auras patch contains up to four different sampled elements, although some are more minimal with only a single sound at play, but in all cases, you would never know it, as the quality of the underlying sound design is absolutely premium. Each of the four partial elements offers basic control. A simple, clear and clean control panel allows for tweaking of volume, reverb, attack and decay of sound, which can be altered independently on each partial, or it’s possible to link all partials together, meaning that changing one affects all. Further control or loading of individual samples is not available from the minimal front panel, but if you’re feeling brave, clicking the Kontakt Edit button will reveal all of the under-the-hood parameters, if you want to go off-road. Alongside these more basic control elements, global effects include reverberation, hard limiting and a low-pass filter. A simple click brings each into play, while a ‘+’ sign toward the bottom of the page provides a brief explanation of the patch, which could be useful if you’re wondering exactly what you’re hearing, particularly if the source has been mangled. The main event within Auras is the ability to control certain aspects of the sound in real time. If you have a Roli Seaboard, Auras is set up to respond in a multi-layered MPE sense, as you either slide your finger up the key or press harder. In my case, I was able to create a similar environment very easily with a couple of MIDI CC-based faders. Kontakt makes it very easy to assign faders in this way, so two clicks later and I was riding each patch to their extreme. The exact nature of what is controlled within each patch does vary, but in just about all cases, the resulting change in texture firmly increases the intensity. A couple of favourites quickly emerge, such as the ability to detune with an intensity that any televisual drama would cry out for. Other highlights included distortion, bitcrushing, texture and so the list goes on, and the way that Auras handles this is very seamless, without any sense of unwanted ramping. I was immediately lost in a very different sonic dimension, leading me to want to play a chordal sequence into my DAW and drive these elements while my harmony played out. Colours, on the other hand, is the second of the included instruments, with very similar credentials but even more control. The larger display offers the user two fully independent ADSR envelopes, for control of amplitude and filter, while many of the patches offer a resonant filter with cutoff. Some don’t, but I guess that’s simply down to the way that each patch is constructed. There is further control of elements such as pitch drift, which produces some exceptionally special and eerie timbre, while the real main event is to be found in the lower half of the screen, in the shape of the Modulation Matrix. Within this section, it’s possible to route parameters such as level or low- and high-pass filter, alongside more altered effects such as bitcrushing, saturation, harmonising, detuning and other more generic effects. The presence of two LFOs opens this up further via selectable waveforms, from the more common through to outright random. All of this is applied in numerical form, while a randomisation function allows the user to roll the dice at a specific level, or globally. I found this to be really interesting, and a great source for getting immediate inspiration. This continues to run alongside the real-time control, allowing for builds and swells to be easily created as before. To finish things off, Colours is also equipped with an extensive arpeggiator, although I did find that it wasn’t always audible in the more predictable sense of what we expect from an arpeggiator. Cleaning up any given sound on both the attack and decay phases reveals a clearer sense of the considerable control available to arpeggiation, with more obvious and predictable behaviour ensuing. This is, without a shadow of a doubt, a very classy product. Sonically, it rewards hugely, which is testimony to both the quality of the source audio and the plentiful but reasonably simple control available at edited and real-time levels. Its richness of timbre will resonate with anyone who regularly needs impressive pads, especially if you like things that sound organic. The real-time control is a huge boon, whether you choose to go Roli or MIDI CC, and will not disappoint. I think it’s fair to say that we all need pads and textures from time to time, particularly as they can be so useful. However, it’s a much more musical prospect to have access to both an original palette of sounds, and one that can be controlled in real time – and it’s these areas where Auras scores highly. The content is very bespoke and organic in feel, even when nudging into the realm of electronics. 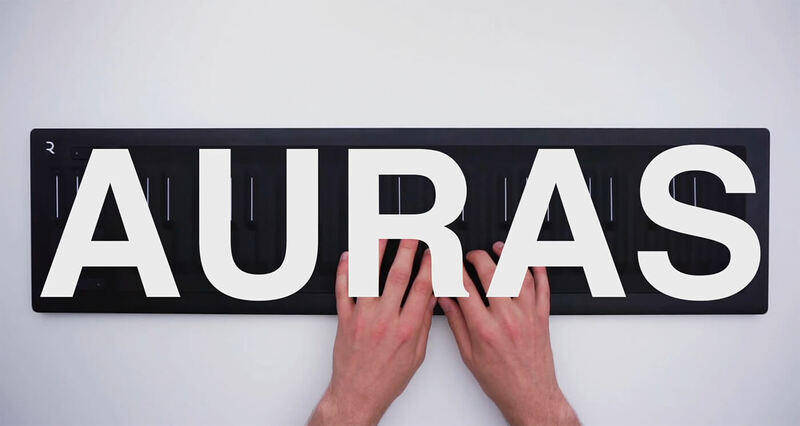 If you’re a user of products from Roli, this will open up their potential too, as Auras acts as a real conduit to creativity for use of these new technologies. If you don’t have these products, all is not lost by any stretch, as the MIDI CC assignment is easy and works very well. It’s a bumper crop of textures that will deliver, just when you need them to. With very similar acoustic credentials, BDT brings a unique pad-like environment into play where background textures are littered with swells and colour that poke out to create interest. It doesn’t have quite the same breadth or control of Auras, but is a very useful product for similar usage. 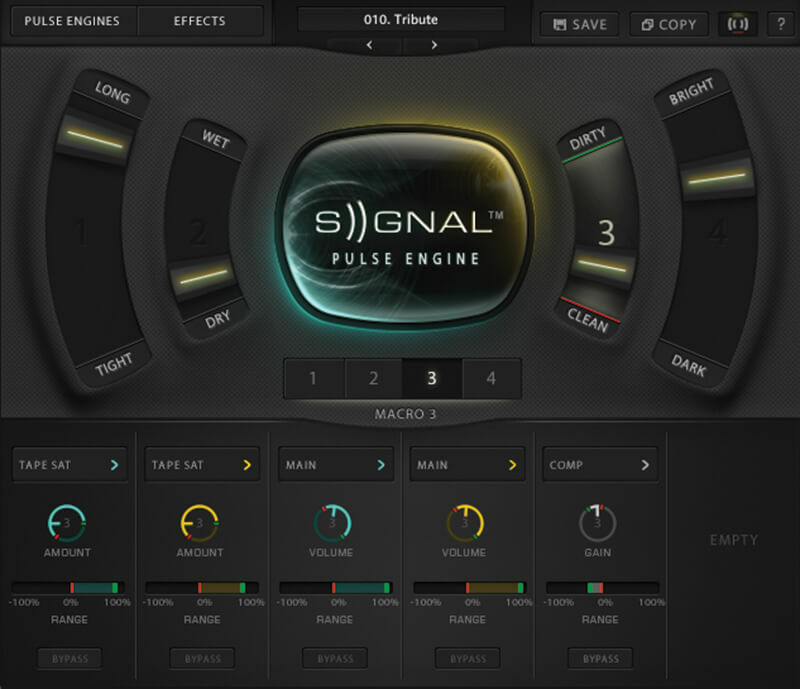 Signal is billed as a pulse engine, although it can drone, build and pulse with similar elements of real-time control. 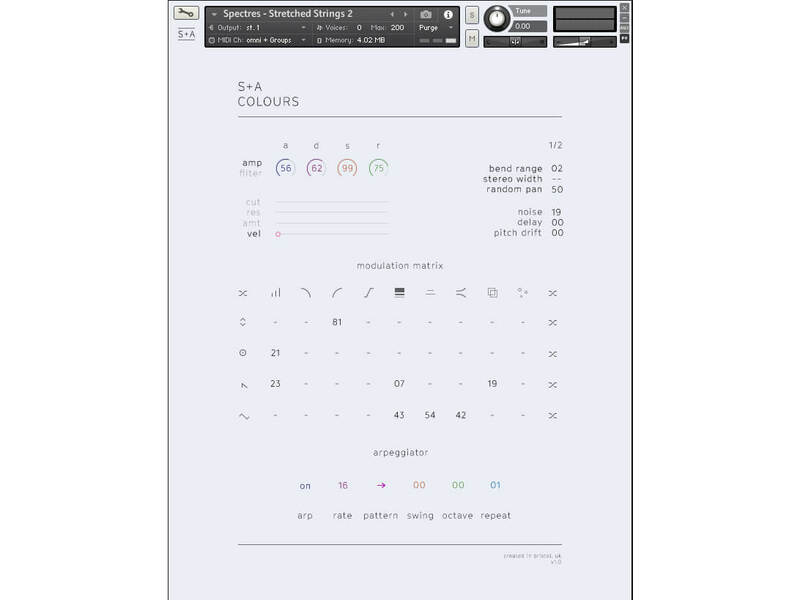 Just like Auras, it has the capacity to act as a colourful instrumental backdrop, which can build and mutate over time, although the source content is generally more electronic. + Brimming with organic pad-like joy! This is an excellent selection of truly inspiring textural colours that can be played in context and driven to beauty or frenzy.